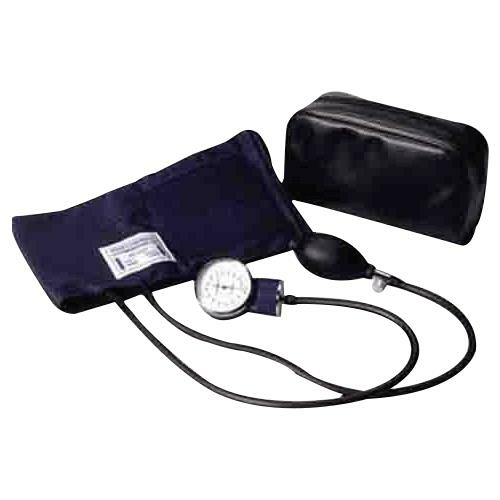 ReliaMed Professional Aneroid Sphygmomanometer with Nylon Cuff comes complete with leatherette zippered carrying case and operating instructions. It is an economical aneroid sphygmomanometer for todays cost-conscious healthcare market. A navy blue nylon cuff with range markings facilitates selection of correct cuff size.